Identification: Almost identical to Euzophera ostricolorella. 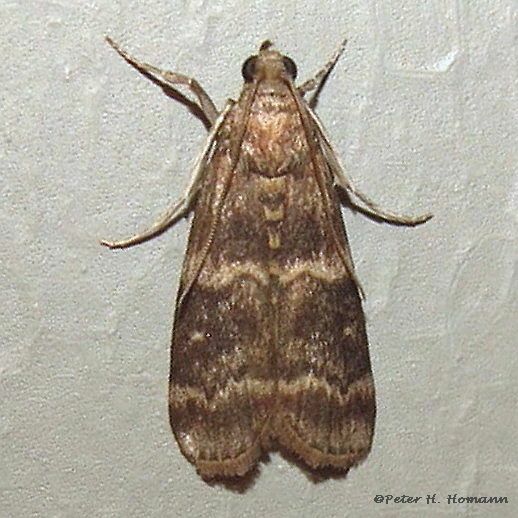 Forewing long and narrow; maroon with gray median area defined by paler gray am. and pm. lines. Hindwing shiny grayish.